Thank you for taking time out of your busy lives to visit the Down Under headquarters. At the risk of having you reaching for your sick buckets and collectively rolling your eyes I would not be writing if it was not for all you readers. For me blogging is about engaging with you so if you have any comments or suggestions you can contact me at daddownunder@mail.com and I will get back to you. If you are a PR or Brand Representative please contact my Jerry Maguire’s (don’t tell them I call them that), the Team at The Remarkables Group (remarks@theremarkablesgroup.com.au). That way I can show my wife the money, afterall she keeps asking where it is. 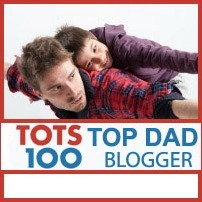 I was voted Top 50 Daddy Blogger by both Babble (US) and Tots100 (UK) in 2012 and have worked with leading brands such as Shell, Commonwealth Bank, Dettol, Lego and others. I have been featured in various national publications including The Australian, The Sydney Morning Herald, The Herald Sun Sunday Magazine, That’s Life Magazine, news.com.au and Pregnancy and Birth Magazine. Liz, thanks so much for your kind words, its good to know its not just my mum who thinks i’m funny. Wow a 4 month old, congratulations and enjoy it, it seems to fly by. Happy Birthday, Matthew. Where have the years gone? I know that it is the evening where you are but it is earlyish in Ashington. I hope that you have had a crackingly good day and have many more to follow it.